West Ham have suspended one of their youth coaches pending an investigation following his attendance at a rally. It comes after Mark Phillips, who coaches the Hammers’ under-18s, said he attended a march organised by the Democratic Football Lads Alliance. The organisation has been criticised by anti-racism campaigners. Anti-discrimination group Kick It Out said it brought his support for the DFLA to the attention of the Premier League club. Phillips tweeted about attending the DFLA’s march through London last Saturday, as first reported by the Guardian. Violence broke out at the demonstration when anti-racist protesters tried to block the DFLA’s route. There is no suggestion Phillips, who later deleted his tweets, was involved in any trouble. The DFLA claims to oppose “all forms of terrorism and extremism” but has been accused of having links to far-right organisations. 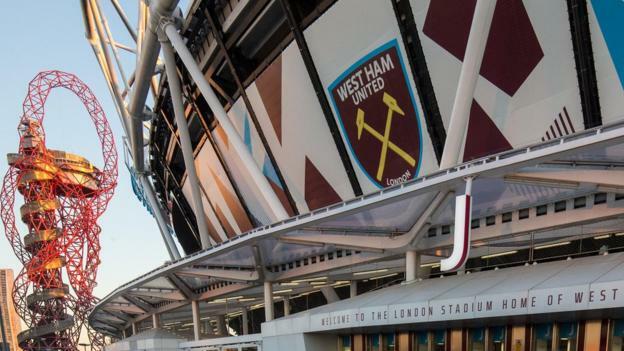 West Ham declined to comment on the suspension but said it was an “inclusive club” that welcomed supporters regardless of gender, age, race, ability, religion or sexual orientation. “We have a zero tolerance policy to any form of violent or abusive behaviour,” said a club statement. Why are the Indian authorities afraid of a ‘half-Maoist’?